rumor has it, this photo of shuriken shannon, from the rotterdam photo contest in 2007, is all over the city of rotterdam(holland) on flags, just like the ones in this photo, for the photo contest going on right now! can't wait to see photos of em! 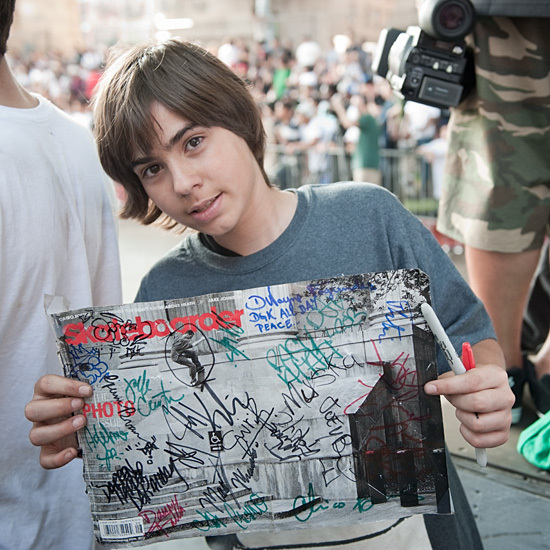 caught this kid walking around manny mania, with just the cover ripped out, no magazine attached, autographed by josh kalis, danny falla, chico brenes, jack curtin, darren harper, alex carolino, adelmo jr., muska, and some illegible ones.